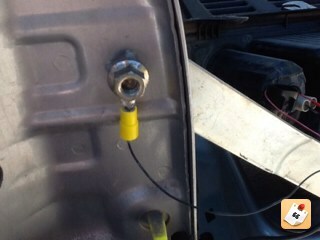 www.newtriton.net • View topic - Reverse wiring tapping points? Re: Reverse wiring tapping points? I had a wireless one mounted inside my canopy at one stage. It seemed to go alright but I had the wireless sender towards the front of the canopy so the signal probably only had to travel about 6ft in a straight line. Cowboy Dave wrote: I had a wireless one mounted inside my canopy at one stage. It seemed to go alright but I had the wireless sender towards the front of the canopy so the signal probably only had to travel about 6ft in a straight line. Ok cool. So I received it and wired it up. There is sometimes some intermittent drop out and fuzziness/interference. I might give it a rewire on the weekend and bring the sensor forward more to see if it helps. Thanks! I'll check it out and see if I can grab some pointers. 1) drop tailgate and remove screws. Video here -> "http://youtu.be/x1yiW19FM5A"
5) mount the camera and connect wires. 6) adjust camera to suit. Lines on mine are at 400, 700, 1100, 1300mm from the towball tongue. on my 2012 auto GXL the reveres wire was in the lowest plug and the wire was the top left wire looking from the passenger seat forward. The wire colour was red with green stripe. Just about to install my reversing camera. Has anyone connected it to constant power? Any tapping points at the rear? If not where did you get power from? I wouldn't recommend wiring these cameras to constant power. I made the mistake of doing that with my first one and ended up burning out the infra-red leds and all the wiring. Suggest that you take power from behind the tail light reverse globe so the camera only gets power when you're in reverse. Make sure you put an in-line fuse in as well. NowForThe5th wrote: I wouldn't recommend wiring these cameras to constant power. I made the mistake of doing that with my first one and ended up burning out the infra-red leds and all the wiring. Whereas, mine have been permanently powered for two years now. 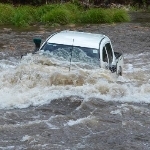 4WD History: 2004 NP GLS Pajero DiD. 2002 Freelander Td4. 1996 Subaru DL wagon. Learnt in a 1980 F100. That was one of my concerns, the lifetime if used constantly. Looking at the one I got as a gift it's a steel mate one, I think from jay car doesn't look or say it's got infra red for camera. Interesting to see how it goes at night time. When you say burning out the wires was this the cable supplied with camera, are they to small gauge to handle constant use? If it's not infrared, is there any other problems that may occur with full time use? Watkins wrote: When you say burning out the wires was this the cable supplied with camera, are they to small gauge to handle constant use? Yes, the wiring is tiny. What I believe happened with mine is that the constant power kept the infra-red leds on and they eventually died. I suspect that without the load from the leds the wiring just burnt out. Left lots of black marks over the inside of the canopy, melted plastic and could have been much worse. Replaced and connected to reverse light and didn't have any further problems. 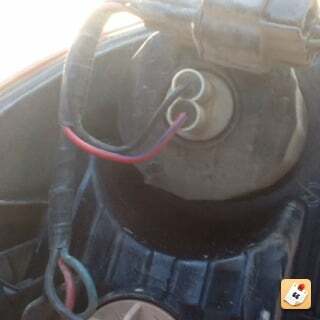 On my 2013 GLX auto triton it is the 4th plug down from the top (behind kick plate down on floor front passenger side). Red and Green wire. There is no wire/pin on the opposite side of the plug, so one maybe able to just cut the wire and solder on an extension. I removed plug, heated (burnt) the insulation on the wire with a lighter so as to scrape off insulation with my fingernails, soldered a wire on, taped up and put plug back together. Wiring is my nemesis, what size fuse would be recommended for these cameras? Mine is the dig options one and it doesn't have a manual, just came in the box with the stereo. Planning on tapping at the reverse light. They use a tiny amount of power. A 1 amp fuse would be enough. Sorry if I am hijacking the thread, I thought it would be the best place to ask my question, though. I am about to buy and install a Dig Options unit and I have the OEM camera in the rearview mirror. 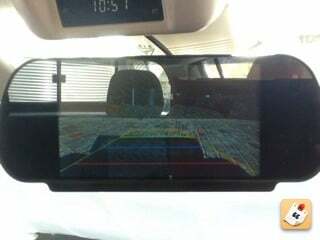 I was wondering if there would be any point where I could connect into the video cable of the camera and use the camera with the Dig Options instead of the rearview mirror (which is too small for me to see anything clear without reading glasses). I looked at the back of the mirror and the cable goes straight in, but I think there might be a connector somewhere behind a panel or the dash. I'd say you might be right there mate but you'll likely need someone with the installation instructions if you're going to track it down. That or trace the cable back. I'm guessing it goes up into the head liner? So try and work out whether it heads right or left and then pull the trim off the relevant front pillar and pick up the wire again there and see where it goes. The nearest reverse trigger is behind the passenger kick panel so it might go in there. Then it will need power from somewhere and there will be a cable run probably underneath but also possibly out the rear wall of the cabin towards the camera. If you can't find a plug then you may have to contemplate cutting it and joining something in. When I did mine there were only 4 wires in total. You've got your power, 1 positive and 1 negative, and then you have your video signal and a fourth wire which works either as a shield or something like that - could be a second earth, it has been a while. If you are able to work out the power wires - usually not hard then you've got a 50% chance of getting the remaining two correct and getting it wrong is unlikely to break anything. There is probably a plug or 2 or 3 somewhere though so you've just got to chase it down. If you had a tone generator that might make the tracing a bit easier. I'll try and track it down. It goes under the roof trim, probably along the edge of the windscreen and down though the A pillar trim, but from there on a connector could be (or not) anywhere. I am a bit nervous to cut and solder the cable, if I can't find anything I'll probably chicken out and fit another camera. 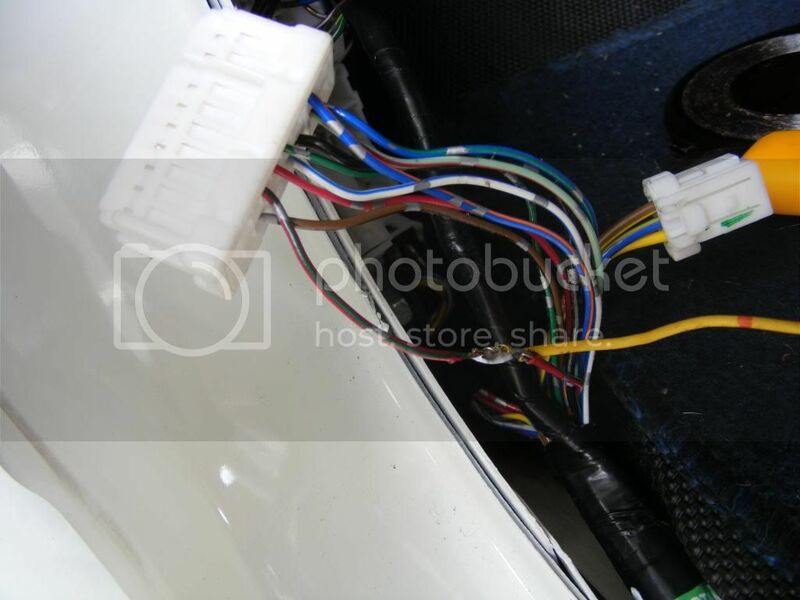 Put a reverse camera in my MY15 MN over the weekend and can confirm the green wire with a red trace in 4th plug down behind the LH kick panel is still the one to use for the reverse signal. 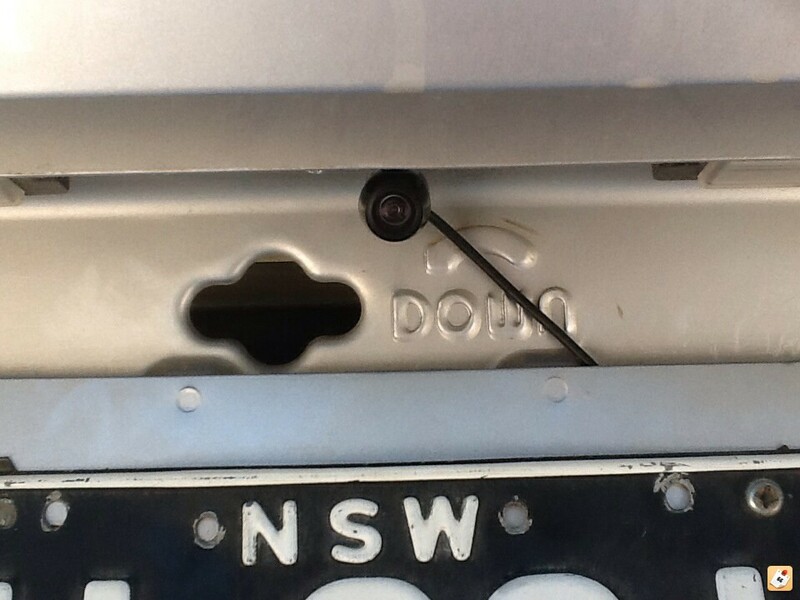 Silvermoose wrote: Just installed a reversing camera on a 2012 MN (manual). 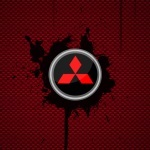 Big thanks to Tritium who saved me hours of trying to find the reverse wire. For those of your who may be interested in doing this, the wire is still Red/Green in the 4th block down as per the pics above but is no longer the last wire in that block. This worked for me too. 2012 Build MY2013 MN - Manual. Thanks fellas! I havent posted before, I have an 08 GLX I found the reverse wire (red with green) going to the 5th plug down. couldnt unplug but will tap into the wire heading back under the door trim. The photos were a great help to know where to start looking.